The U.S. might be limiting Huawei’s operations in the region, going as far as forcing its allies to prevent using its 5G equipment, but that has not prevented the Chinese giant from obtaining a massive market in other regions. According to the latest report from TrendForce, Apple’s market share will decrease to 13 percent in 2019, down from 15 percent from last year. The reduction in the iPhone production will give rise to Huawei, a company that experienced a tremendous run in 2018. 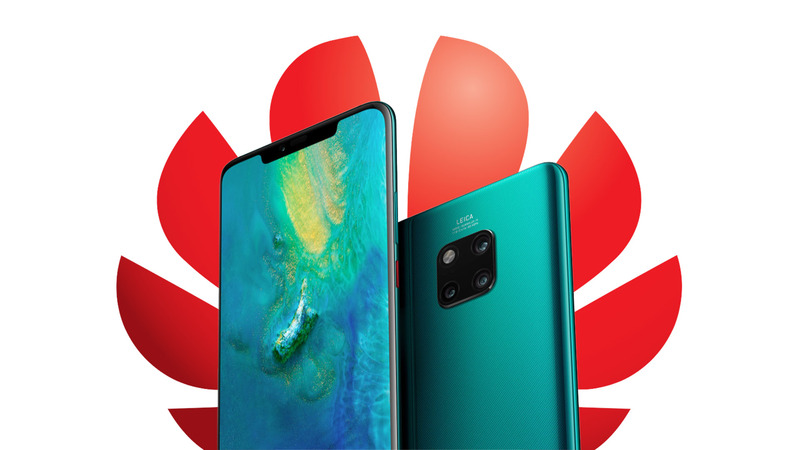 Huawei’s 2018 shipments equaled 205 million units according to the latest report, and for 2019, TrendForce says a growing number of 225 million shipments is expected. The Chinese giant has a chance to raise its market share to 16 percent, thereby becoming the second-largest smartphone manufacturer in the world. As for Apple, TrendForce reports that Apple’s volume production is expected to decrease to 189 million units. In 2018, Samsung possessed the largest smartphone market, with a total of 293 million shipments, but its grip has started to weaken, with a yearly sales decline of 8 percent. The report states that for 2019, Samsung will continue to release various different handsets that will see the Korean conglomerate possess a 20 percent market share, the biggest out of all its competitors. 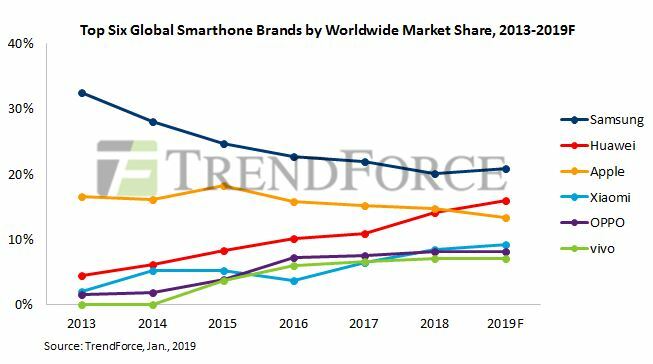 However, with the aggressive pricing strategies employed by Samsung’s Chinese rivals such as Xiaomi, Huawei and OPPO working in their favor, yearly smartphone shipments from the Korean giant will continue to decrease. Global smartphone shipments tally is expected to reach 1.41 billion and while that figure is impressive, it represents a yearly decline of 3.3 percent compared to 2018, The report states that if the outlook gets worse, such as the scenario from the U.S.-China trade war, yearly shipments for 2019 could see a 5 percent decrease compared to 2018.